The exhibition was part of the Department of Health and Social Care’s recruitment campaign, ‘Every Day is Different’ which aimed to highlight care as a great sector to work in. The campaign also celebrated the relationships between the remarkable workforce and those they support. The event was the culmination of the recruitment campaign and took place in the Churchill Room at the House of Commons. 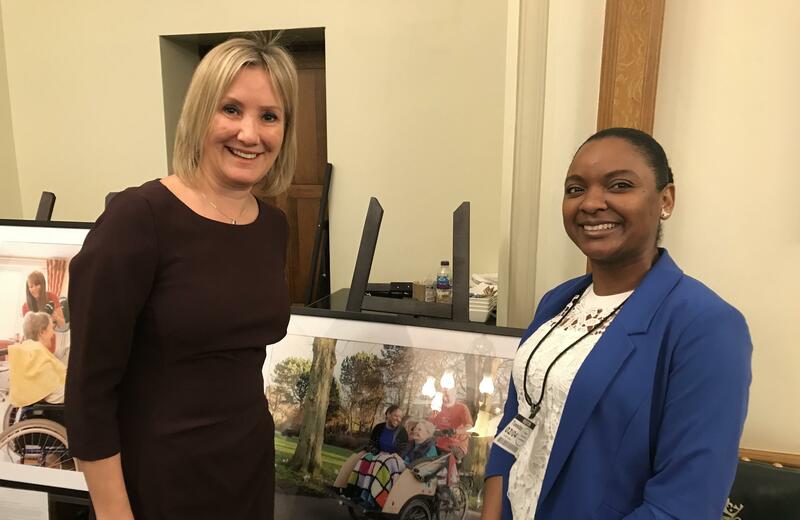 The photographs displayed at the event, including Elizabeth’s, showcased the diversity of roles across adult social care, and the people who are making a difference every day in this vital sector. Elizabeth was asked to take part in the campaign by participating in a professional photo shoot, where she shared a trishaw with her client Margaret. She was also part of a case study that highlighted the importance of choosing a career in care.